Children march in the St. Pat's for All Parade in Woodside. 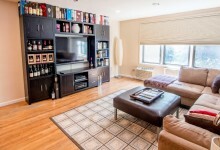 "Woodside is one of New York City's best kept secrets," says Michael Chadwick, a broker with Citi Habitats. Chadwick lived in the Queens neighborhood for six years and works there regularly. 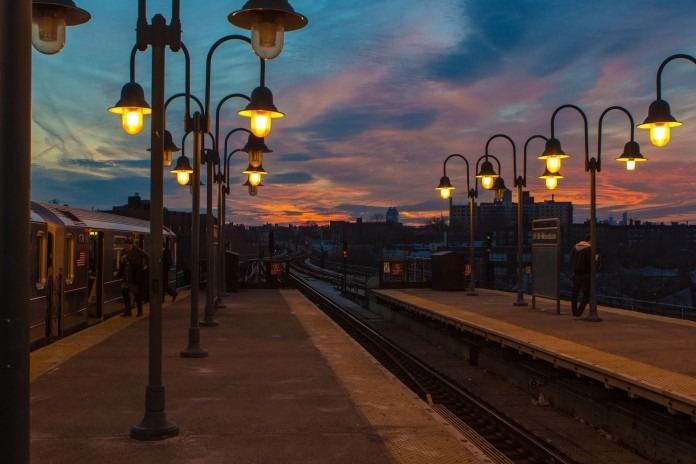 He says that despite its many strengths—its diversity, great food, and proximity to multiple transit options—Woodside has long been under the radar for many New Yorkers, though that may be changing. 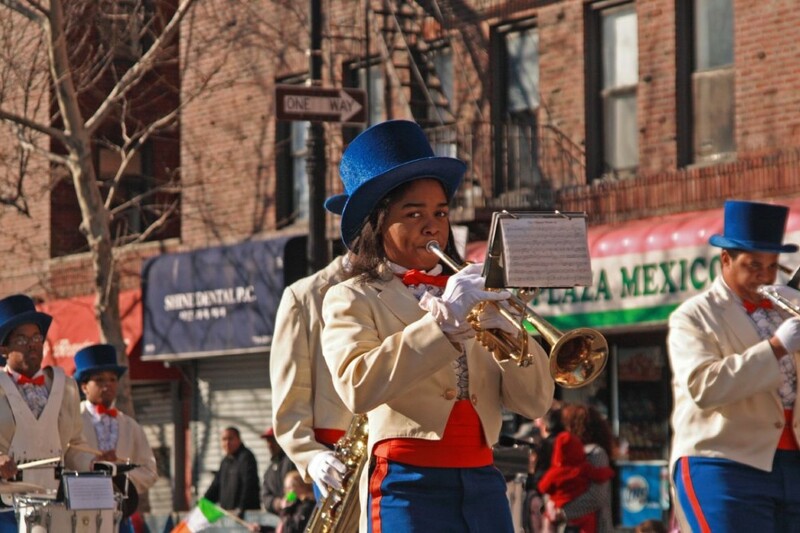 Woodside, much like its neighbor Jackson Heights, is home to immigrants from around the globe, and has the restaurants and shops to prove it, not to mention its own, all-inclusive St. Patrick's Day parade. It's also the birthplace of director Francis Ford Coppola. Another local celebrity is the famous burger at Donovan's Pub. Roosevelt Avenue is Woodside's main thoroughfare, shaded by the elevated 7 train tracks. There you'll find St. Sebastian's, a Roman Catholic church that holds masses in English, Spanish, Korean, and Tagalog. Interestingly, the church used to be a Loew's movie theater, and once hosted the premiere of a Buster Keaton film, according to Untapped Cities. "If you want a representation of the United States, Woodside would be a good place to start," says Assemblyman Brian Barnwell, who represents the neighborhood in the state Assembly and grew up there. The Woodside of 1899 was primarily farmland. 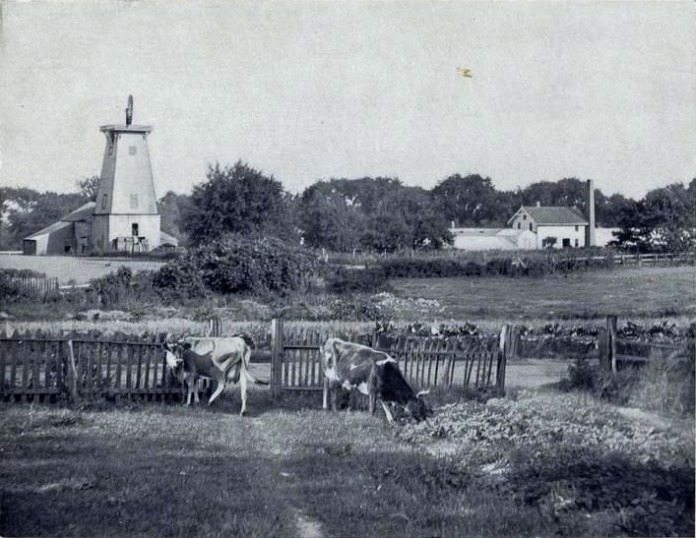 Woodside was first settled by Europeans in the mid-1600s, but stayed sparsely populated for many years to come, remaining primarily farmland, according to Forgotten New York. The area was part of Newtown Township, comprising what is now a number of Queens neighborhoods, including Maspeth, Elmhurst, and Jackson Heights. In 1826, John Kelly, a merchant from Charleston, South Carolina, moved to a house on 58th Street which then bordered a wooded area. Kelly's son became a columnist for the Brooklyn Times, writing about his childhood home in "Letters from Woodside." 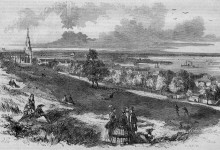 When developer Benjamin Hitchcock purchased the Kelly estate and began transforming the surrounding area into a village in the 1860s, he borrowed the nickname and dubbed the town Woodside. The neighborhood used to be known as "Irishtown"
The first wave of immigration to land in Woodside came from Ireland: The Cooperator writes that Irish newcomers were drawn to the neighborhood beginning in the late 1800s for its affordable housing. By the 1930s, nearly 80 percent of Woodside residents had Irish heritage, and the neighborhood was nicknamed "Irishtown." Perhaps it was this ethnic makeup that drew Mickey Spillane, leader of the Hell's Kitchen-based Irish-American gang the Westies. In the late 1970s his position was threatened by James Coonan, a rival mobster, and Spillane fled to Woodside, where he was shot to death. The neighborhood also suffered heavy losses during the Vietnam War, with 28 of its young men, primarily Irish-American, losing their lives in the conflict. Today, the Irish influence is still evident in Woodside's many Irish pubs. Favorites include the Cuckoo's Nest, Saints and Sinners, and Sean Og's. 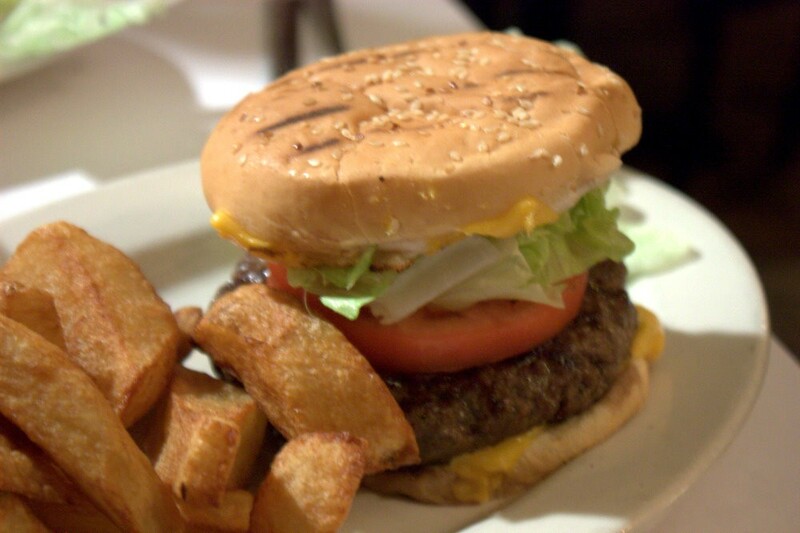 Donovan's Pub, open since 1966, has been hailed as having one of New York City's best burgers. The famous burger at Donovan's. Woodside has its own Little Manila, and in addition to immigrants from the Philippines, the neighborhood is home to people who can trace their origins to countries throughout Latin America and Asia. Sarah Rabenou, co-founder of the Project Life Center, a new community center offering classes in the arts and wellness, primarily to women, says she was drawn to Woodside for its multicultural character. "It's still very much inhabited by many immigrants, and there's also a lot of pride in home," she says. "People are very invested in their community." Project Life Center co-founder Zsuzsi Tass agrees, saying, "You can't talk about Woodside without talking about the diversity. 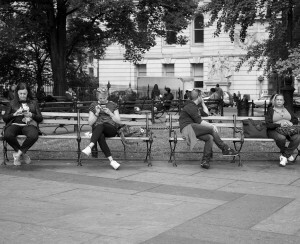 There's a great sense of community within cultural groups." Woodside's cultural diversity is reflected in its culinary offerings, which include Sripraphai, often celebrated as serving some of the best Thai food in the city, Papa's Kitchen, a Filipino eatery where diners can also partake in karaoke, and Casa del Chef, owned by an Ecuadorean chef who previously cooked at the celebrated Blue Hill at Stone Barns. You'll also find hearty American fare at places like the Stop Inn diner. "My diet stops there," Chadwick says. The organizers of the annual St. Pat's for All parade—the Irish LGBT group Lavender and Green Alliance—note on their website that the festivities are "open and welcoming to all who wish to share in the spirit of the day." Founded in 2000, the parade provides an alternative to the city's more famous St. Patrick's Day Parade in Manhattan, which until 2016 excluded LGBT marchers. St. Pat's for All follows its yearly route from Sunnyside to 58th Street and Woodside Avenue in Woodside and invites everyone, regardless of background, to join in the celebration. 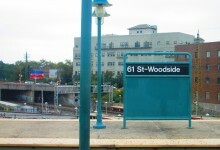 Woodside's main train line is the 7, which has an express stop at the Woodside-61st Street station. Here, you'll also find a Long Island Rail Road station, from which you can reach Penn Station or Jamaica in about 10 minutes. The E, M, and R trains are nearby at the Northern Boulevard and 65th Street stations, and it's a quick trip to LaGuardia via the Q70 Select Bus Service route. The housing stock here is mostly low-rise, and while there are rental and co-op complexes, Chadwick says that it's common to rent apartments in private homes. Luxury towers seem unlikely to pop up in Woodside, according to amNewYork, as local community board members and Councilman Jimmy Van Bramer oppose increasing density. Chadwick pegs the median sales price for Woodside at $789,000, and the median rental price at $2,150. "Prices have risen significantly over the past five years," he says. "More and more people are coming to Queens in the face of rising rents in Manhattan and Brooklyn." Young families seem drawn, he adds, by PS 361Q, a brand-new elementary school. "There's a huge demand for two and three bedrooms for families who want to be near that," he says. Barnwell says the growing interest in Woodside is becoming evident on the streets and trains. "It's getting more crowded: The trains are crowded, the schools are crowded. The problems we face because of that are concerning," he says. "Those are the downsides, but the good thing is that this is a community-oriented neighborhood, one of the most diverse in the U.S., with a lot of people coming together and being one voice."